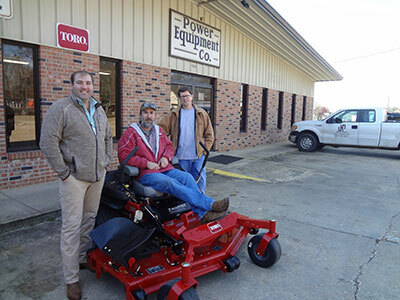 Edward Smith of Smith Lawn Service in Booneville, Miss., winner of Toro’s 2016 GIE+EXPO mower giveaway, received his new Z Master zero-turn mower. The Z Master Professional 6000 Series model features a 34-hp Kohler Command Pro EFI 999cc engine with Horizon Technology, and a 72-inch Turbo Force cutting deck. Wright Manufacturing received a 2016 gold level Dealers Choice Award from the Equipment Dealers Association (EDA). The St. Louis-based EDA recognized Wright for the high score it achieved in the association’s annual manufacturer-dealer survey. The survey asked its 4,600 member dealers to rate manufacturers in 12 categories, includingproduct quality to customer service. Gold level service awards are presented to manufacturers that receive exemplary ratings from their dealers. Ariens Co. signed a lease for a 600,000-square-foot building in Kenosha, Wis., which will become the site of its new distribution center. The new Wisconsin facility consolidates operations the company had throughout the Midwest into a single larger, more efficient facility. The Ariens Co. whole goods business will use the warehouse as a central hub for distribution of outdoor power equipment as well as parts and accessories. All products manufactured in Brillion and Auburn will move through the facility. Pinnacle V released a new video, titled “Keeping Plants in Mind,” to show how live plants in the office, lobby and surrounding work environment can improve the health and wellness of employees. The video promotes the ideals of the Well Building Standard that parallels LEED standards, but focuses on the health and well-being of building inhabitants. Greenworks Tools celebrated the opening of its new North American headquarters. The 40,000 square-foot office space is part of the revitalization of the 1.1 million-square-foot historic Mooresville Cotton Mill. For the second year in a row, Spring-Green Lawn Care has been included in Entrepreneur magazine’s Franchise 500 listing. The franchise companies included in the list are ranked by measures such as financial strength and stability, growth rate and size of the system. In 2014, Spring-Green formally introduced its green industry franchise program, offering opportunities to landscape, hardscape, pest control and other existing business owners. Since then, dozens of existing business owners have partnered with Spring-Green to diversify and grow their businesses.